From all of us at Academy Volleyball, we would like to wish boys 14 Red player, Kevin Hanson, a speedy recovery. At a recent practice, Kevin had a sudden and serious medical incident (unrelated to volleyball) and is now recovering. We are with Kevin 100% and are hoping to see him back as soon as he is ready. Additionally, all of us at Academy Volleyball would like to send our deepest gratitude and appreciation to those coaches and parents who rushed to Kevin’s aid. All those involved kept calm, acted quickly, and worked as a team to help a player and family in need. Academy Volleyball would like to congratulate Mia Cergol, Jack Driscoll, and Matt Rivera on the special honors they received by the Newsday sports writers. 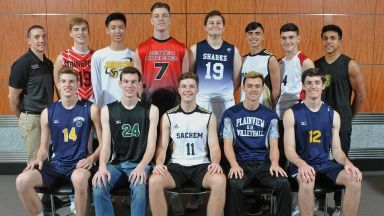 Driscoll was named the Long Island Player of the Year for boys varsity volleyball. 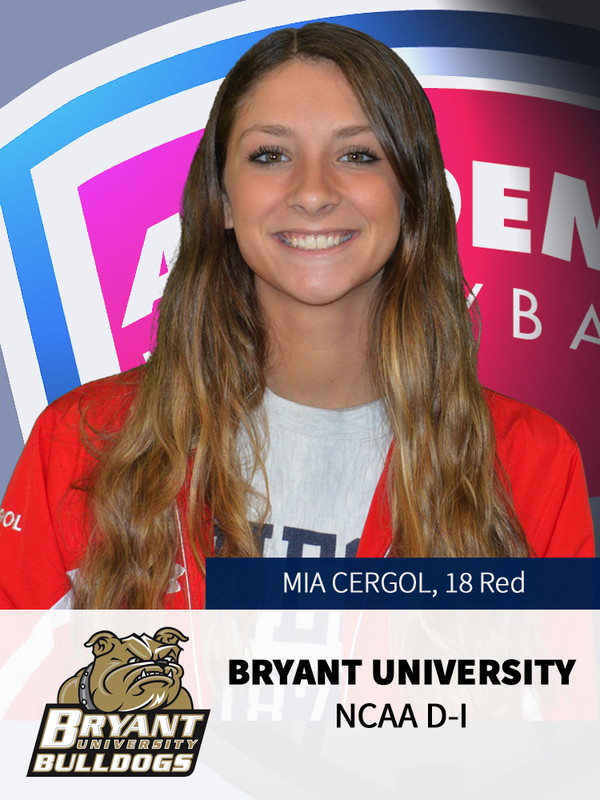 Cergol took home Suffolk County Girls Varsity Volleyball Player of the Year and Rivera was named the Suffolk County Boys Volleyball Coach of the Year. Please join us in congratulating all three on their well-deserved honors. “Jack has been the cornerstone of our program over the last three years," Sachem North coach Matt Rivera said. "His mix of athleticism and intellect make him a truly special player. As a senior his leadership and grit were essential to this team's success." "An all-around athlete," Tremaroli said. "She's great to work with. She's a great leader, and she plays with her heart." With Rivera at the helm, Sachem North finished as the state Division I runner-up after a 3-1 loss to Fairport in Albany. The Flaming Arrows were undefeated entering the match and finished the season with an overall mark of 18-1. Wantagh Girls are Class A NYS Champions! Academy Volleyball would like to congratulate the Wantagh Girls Varsity Volleyball Program on winning the New York State Championship for Class A schools. The girls traveled to Glens Falls, NY to compete in the New York State Championship Tournament where they defeated Niagra Wheatfield High School in five sets ( 23-25, 25-22, 20-25, 26-24, 28-26). Long Beach Girls are Class AA NYS Champions! Academy Volleyball would like to congratulate the Long Beach Girls Varsity Volleyball Program on winning the New York State Championship for Class AA schools. The girls traveled to Glens Falls, NY to compete in the New York State Championship Tournament where they defeated Victor High School in straight sets - and capped off a perfect season! The Iona College Women’s Volleyball program has won the Metro Atlantic Athletic Conference (MAAC) championship and earned a bid to the NCAA D-I tournament. Please join us in congratulating the girls and Coach Santiago on their outstanding accomplishment and good luck in the NCAA tournament! The girls will learn who their first opponent in the NCAA tournament will be during the NCAA selection show Sunday November 25, 2018, which will be aired on ESPNU. Academy Volleyball would like to congratulate the Sachem North Boys Varsity Volleyball Program on winning the Suffolk County and Long Island Championships for Division I schools. The boys traveled to Albany to compete in the New York State Championship Tournament where they were named New York State Finalists. Academy Volleyball is extremely proud to announce that Patric Santiago has been named the 2018 Metro Atlantic Athletic Conference’ Coach of the Year as the Head Coach of the Iona College Women’s Volleyball program. In his third full season, Coach Santiago led the Gaels to an incredible 16-2 record and the programs first ever regular season title. In the post-season, Coach Santiago led the girls to a conference championship and earned a bid to the NCAA D-I tournament. Academy Volleyball is proud to have an NCAA D-I caliber coach, such as Coach Santiago, on its current roster of coaches. He is currently the head coach of the Girls 17 Red team and helps train the boys too. Read more on Coach Santiago’s accomplishment here. 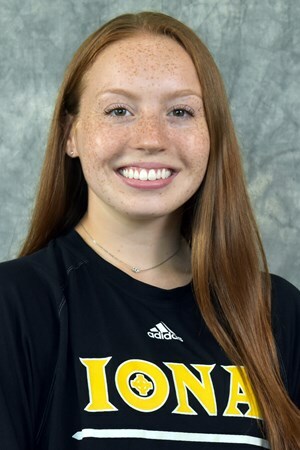 Academy Volleyball is pleased to announce that former Academy player, and current Iona College (NCAA D-I) Setter/Right Side, Jamie Smith, has earned All-MAAC Second Team honors. Jamie is in her Sophomore year at Iona and is building off her successful Freshman season where she earned Rookie of the Year honors. Read more about Jamie’s accomplishment here. Academy Volleyball would like to congratulate the Eastport South Manor Boys Varsity Volleyball program on winning the Suffolk County Championships. Led by Academy, St. Josephs College, and ESM Head Coach, Bill Kropp, the ESM team has once again captured the Suffolk County Division II Boys Volleyball Championship.